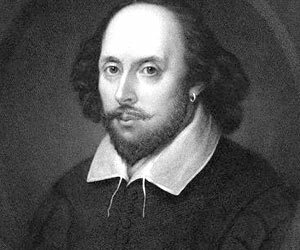 We begin the week here on My Poetic Side with a look at the recent discovery of the exact address where William Shakespeare lived in London. 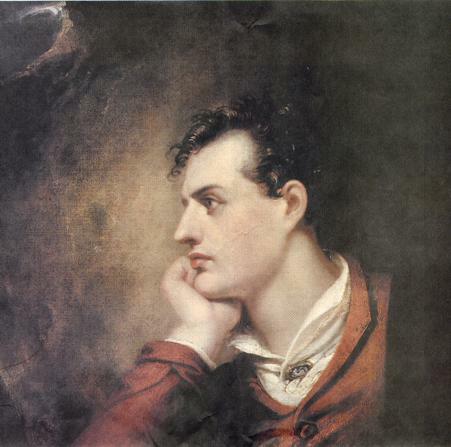 We also take a look at Lord Byron’s Don Juan which is to go on display in Scotland. The exact location where William Shakespeare once lived in London is now believed to have been pinned down by Geoffrey Marsh, a theatre historian. Previously all that was known was that the poet and playwright lived near to Liverpool Street Station between the years of 1597 and 1598. However, the exact address was unclear. Marsh has cross-referenced a number of official records and believes that the bard lived at a site that is next to St Helen’s Church. The address 35 Great St Helen’s is now an office block. Marsh has been conducting his research over the course of the last decade and discovered that Shakespeare was a tenant of the guild that organised the leather trade during the Elizabethan era; the Company of Leathersellers, in the 1590s. It is most likely that the cluster of houses that overlooked the churchyard area where he lived. This area was one of the “power locales” of London, and the move from Stratford to this particular part of the capital would have had a significant impact on Shakespeare’s status. Not only did his career take off, but he also acquired a family coat of arms and even planned to purchase an expensive house back in Stratford. Arguably one of the greatest poems to have been written in the 19th century, a manuscript of Don Juan written by Lord Byron is to go on display in the National Library of Scotland. The event is planned to coincide with the 200th anniversary of the publication of the poem which was published in 1819. The epic poem was at the time condemned as being “filthy and impious” by one of the leading reviewers in Edinburgh, and it led to Sir Walter Scott making comparisons between it and Shakespeare. The manuscript, which is fragile, is divided into sections which are referred to as cantos. It will be on display from Thursday this week until 27th July. It will be the first time that the manuscript will have been on display to the public. This is a working manuscript which allows a glimpse at the poet’s creative process with changes and additions made throughout the work. The poet was at the height of his career when he wrote the poem, it was ahead of his time, and he was very aware of this. His intention was deliberate – he wanted to expose the hypocrisies that existed in British society at the time and shock his readers. So scandalous was the poem that Byron’s publisher, who feared being prosecuted, published the first two cantos with neither the author nor publisher’s names written on the title page when they were first released on 15th July 1819. He is regarded as one of the greatest poets of Europe and was a leading figure in Romanticism.